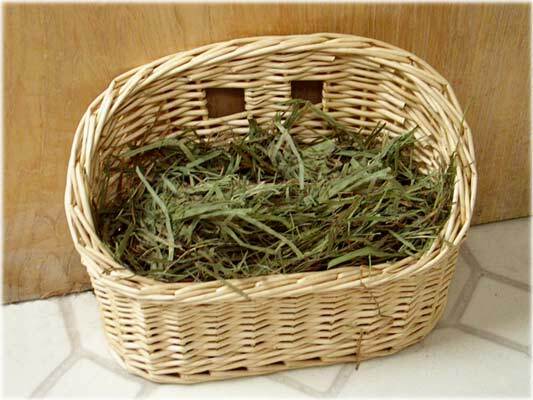 Oxbow's Timothy Bungalow is made from 100% all-natural timothy hay and hand-woven to perfection. 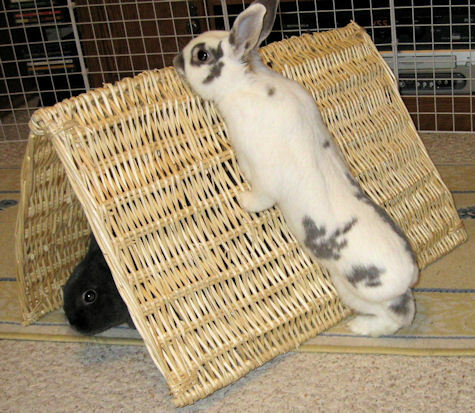 Edible construction offers your rabbit the high fiber he or she needs. It contains no chemicals, wire, nor threads to ingest. Large: 12" x 12" x 9"
The Maze Haven is a fantastic invention! Allow at least half an hour to figure out and assemble the maze in any way you want. Even then, you will probably have two or three pieces left over! Keep those left over pieces as replacement parts because as house rabbits, we love to go inside the Maze Haven and do our own remodeling. Binky Bunny's Cottontail Cottage has three levels. The floors for the two upper levels are made with double-wall cardboard for extra strength. Ramps between levels allow for easy jumping access. There are several doors and windows at each level -- great for running through and peeking out. The front has a large opening at the bottom and paned windows which swing open on the second level. The cottage is made of chew-safe cardboard and printed with soy-based ink. 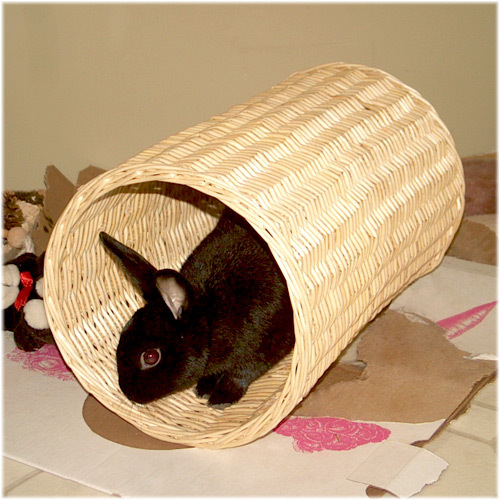 Size: 24" Tall x 18" x 18"
Large round willow tunnel exclusively from Busy Bunny. This round tunnel is not only bigger for larger bunnies, but it is also made from peeled willow which gives its white color. Busy Bunny Basket Playhouse features an arched doorway that enters into a cozy space to sit and contemplate the world. Your bunny can peek out of the top or begin remodeling! Cover it with a small blanket and make it into a hide out, or fill it with shredded paper and it becomes the perfect diggy box! The dimensions are 14" x 12" x 8.5". 9.5" x 3.5" x 5" with an 8" high back.